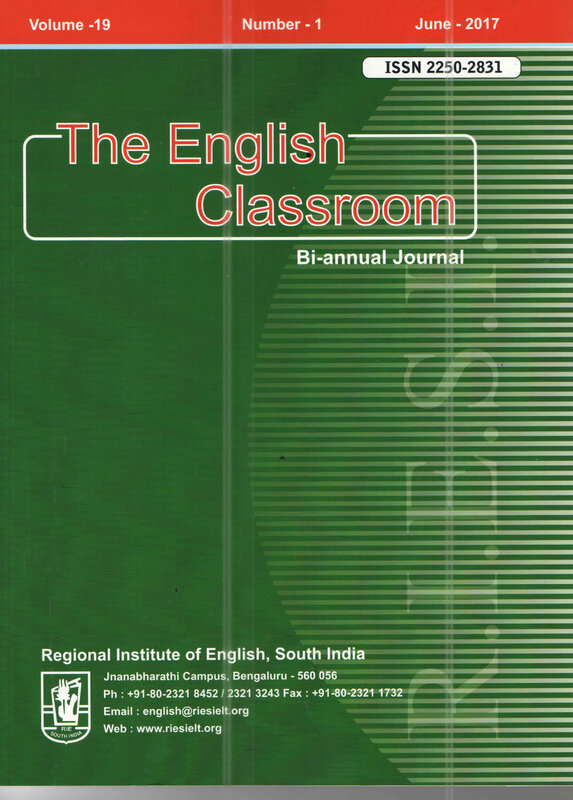 ‘The English Classroom’ is a bi-annual peer reviewed journal published by the Regional Institute of English South India, Bengaluru. The journal is being published for the past 20 years. A range of topics on English Language Education including teacher education courses, using literature, technology and web resources in second language classrooms has been covered over these years. 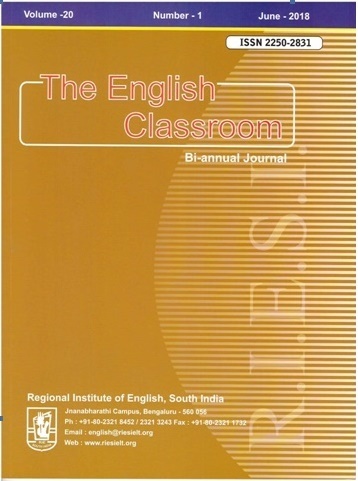 The articles submitted to the journal are subjected to blind review by experts in the field of English Language Education. The published articles are thus based on rigourous scrutiny, screening and review by the expert team. The journal, over the years, has contributed to the advancement of available information in the field and paved the way for further research works. 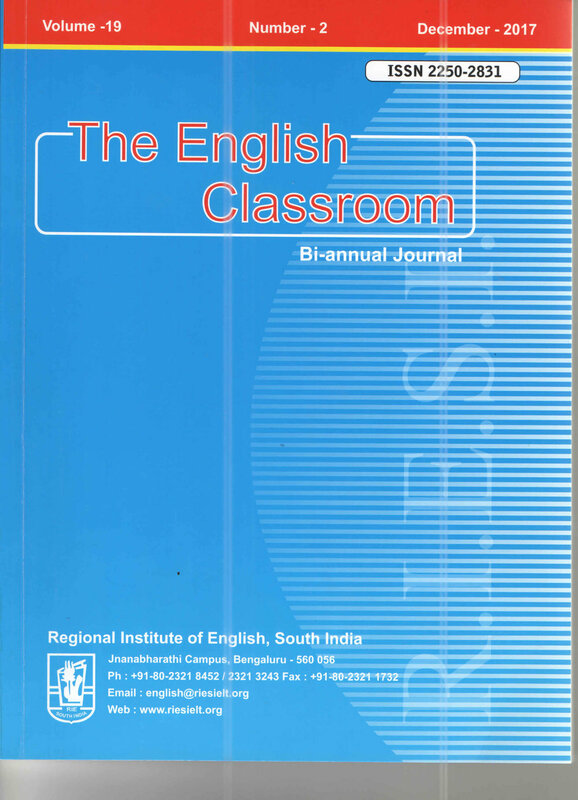 The Regional Institute of English, South India, Bengaluru has been publishing ‘The English Classroom’, a bi-annual journal (ISSN 2250 - 2831) for more than 20 years now. We have published scholarly articles on a range of topics in English Language Education over the years. Majority of the subscribers to our journal include practising teachers, teacher educators and research scholars. The journal has helped us in reaching out to them, disseminating knowledge in the field and impacting their classroom practices and professional learning. Kindly send your article before November 30, 2018 by email to: riesi.bangalore@gmail.com and copy it to the Editor at riesijournal@gmail.com. Articles submitted to 'The English Classroom' should be original and unpublished. Articles have to be submitted in both hard / soft copy (CD / Email) to this office. Articles around 2500 to 3000 words in length may be submitted to be considered for publication in the journal. A separate Abstract of 100 to 150 words in length should be submitted along with the article. A list of 5 to 10 Key Words should accompany the article. Author's name, affiliation and address should be included in the article. Wherever necessary, use headings, sub-headings, tables and diagrams to make the reading of your article easier. Please follow APA format for referencing. Alphabetical entries by authors' last names should be made in the reference list. Multiple works by the same author should be listed chronologically. If your article is published, we will be happy to send you a copy of the journal as a token of our gratitude.